Our phones are more powerful than the computers used to put a man on the moon. And all we use it for are endless games of Snake, Clash of clans or for getting spied on by Facebook. Wouldn’t it be cool if we could tap into that power for something a little more practical? Like any other home remodeler, I was intrigued. It turns out that there are a few of these devices that are designed to work with your smartphone. Of those, Walabot and Flir one are two brands that are rapidly gaining market share. In the next two minutes, I’m going to give you a quick overview and comparison to help you make the best choice. Tool Tally makes tool buying easy! Ideal for identifying objects in walls. Ideal for identifying hot and cold spots. We’re talking about two entirely different devices, here. One of them uses radar; the other uses an infrared camera. They both see through walls, and they both can help identify objects that are in walls. The Walabot is good for detecting studs, pipes, and wires. The Flir One is good for detecting heat signatures, but not good for finding studs. The Walabot is a sensor that attaches to your phone and allows you to see inside walls to find pipes, studs, and termites. The Walabot handheld scanner is about the size of a cell phone and easily interfaces with Android smartphones. If you frequent DIY sites (like ours), you’ve undoubtedly been targeted with ads for this wall scanner. 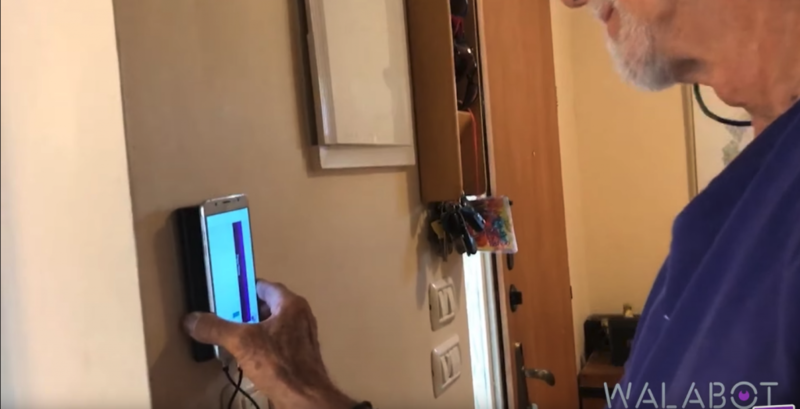 They show someone sliding their phone along the wall and being able to identify studs, plumbing, and electrical wiring miraculously. The Walabot works, especially on sheetrock walls. However, what no one talks about is the frequent calibration that it requires. Calibrating the device requires you to make large circles on a wall so it can get a read of the different signals. Only then will it start to detect studs accurately. However, if you stop scanning, say to drill a hole, sometimes it requires you to recalibrate. It is likely that you will end up spending as much time calibrating as you will working. It is common to need to calibrate any stud finder and provided that you are working on a home with standard sheetrock, the Walabot is going to work as well as any other stud finder on the market. You’ll have the added advantage of being able to identify what you are looking at in the wall visually with its 3d Imaging. For the tech-savvy homeowner, it makes hanging pictures and shelves much easier. A lot of people consider using the Walabot for situations that would challenge a traditional stud finder. They want to be able to find studs behind plaster and lathe, underneath tile, behind bricks or beneath the carpet. The Walabot does not work well on those surfaces, make it no more useful for locating studs in these problematic situations than something like the Zircon multi-scanner would be. One of the cool features of the Walabot scanner is that in expert mode, you can see a large mass of termites in a wall. 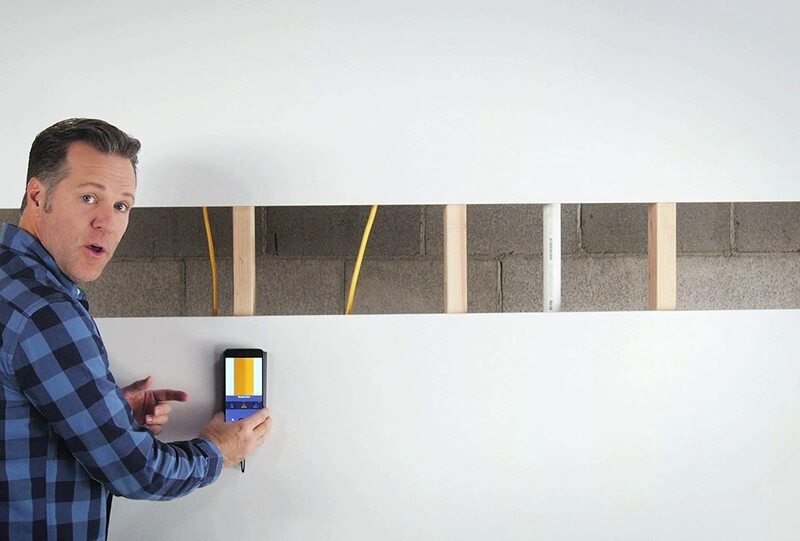 This insect detection mode can make it handy when trying to identify the height of termite damage in a wall if there is currently an active infestation. The Walabot DIY is an excellent stud detector for the smartphone age. With time, it’s going to be an industry leader. But it isn’t (yet) the next breakthrough in wall scanning than most of us hoped it was. 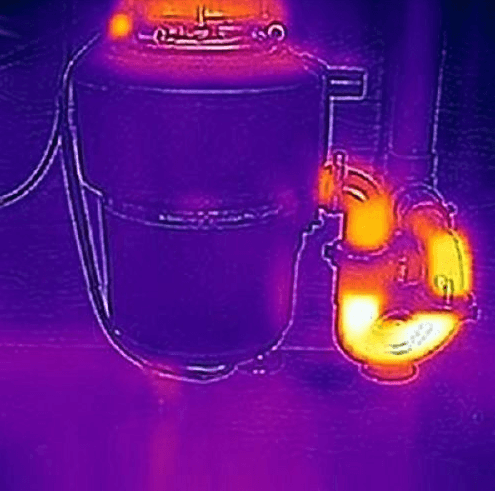 Flir One is a thermal camera for detecting heat signatures. It plugs into the bottom of android phone or iPhone (you must purchase the correct version for your phone type). Flir one is now on the fourth generation of their product. They’ve worked out the kinks (not that their first product had many) and are moving forward to creating the best smartphone compatible infrared camera. Unlike the Walabot, the Flir is useful for detecting heat signals. If you need to find a water pipe in a wall, you can run warm water through it, and the pipeline will light up nicely on your screen. Most home contractors find that the flir is handy for thermal imagine and locating spots where heat transfer is occurring. It can allow you to quickly identify warm spots and cold spots, stopping thermal loss and fixing major efficiency problems. 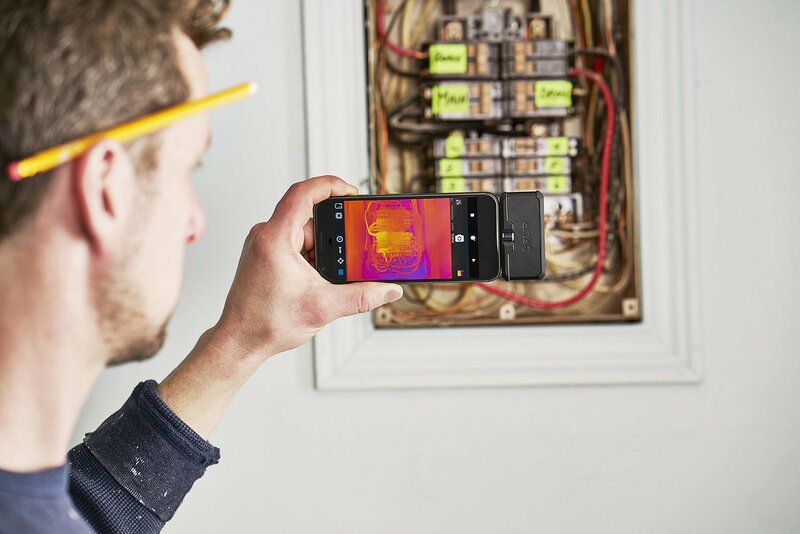 Homeowners with the diy project of home efficiency will find that the Flir offers an insane amount of data in seconds. It is the tool that is designed to help you use your smartphone to lower your electric bills. The Flir one is surprisingly accurate and versatile as a thermal camera. We’ll do a more in-depth review and camera comparison on it soon. However, it won’t detect wood studs with enough accuracy to drill into them. The Flir is such a handy tool that many contractors and home inspectors keep it in their toolbox with their other hand tools. It is especially handy for those involved in HVAC repair. It can also help visualize wet drywall from broken pipes or roof leaks to uncover the underlying reason. Neither device gives you x-ray vision, but the Walabot is an industry-leading recreation of the traditional stud finder, and the Flir is a new thermal imaging device that should have competitors worried.